The beautiful suite of gorgeous natural-surface lapis immediately organized itself into this little figure, who knows why? 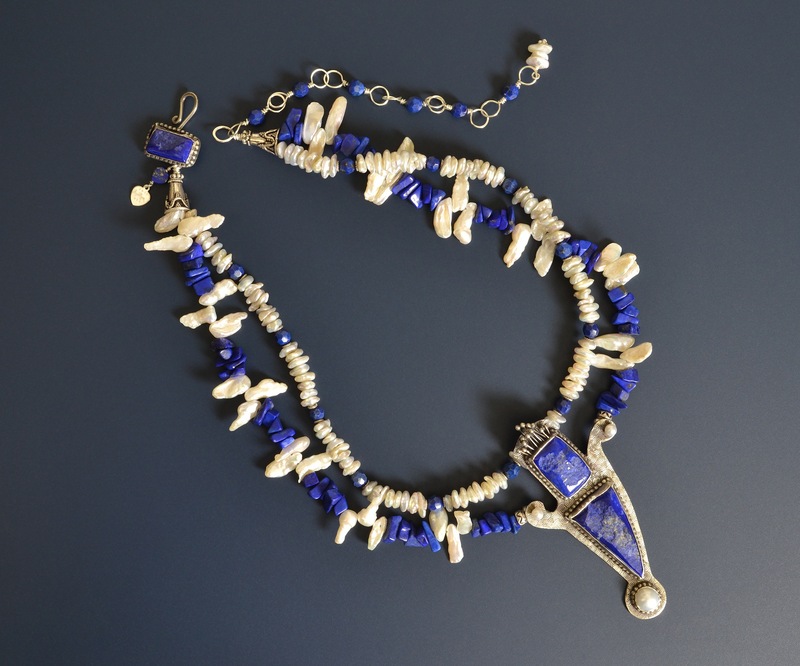 The lapis chips are also rich, undyed lapis. 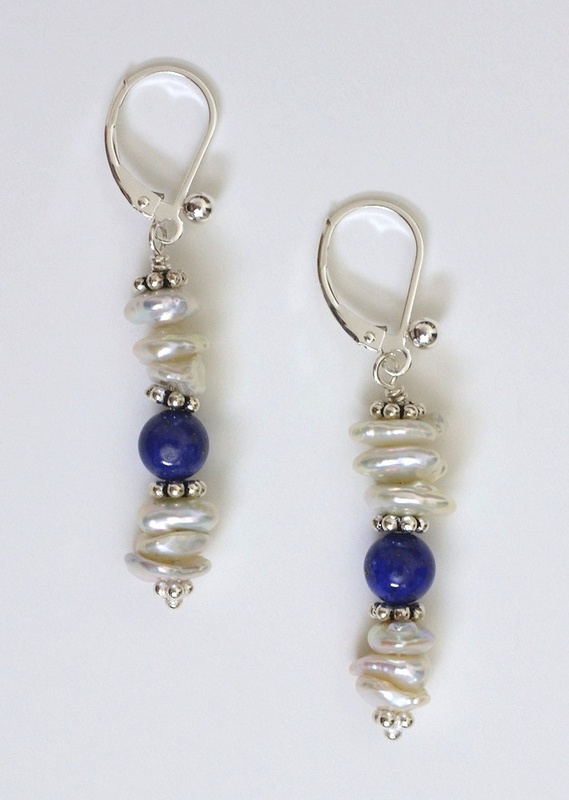 White pearls always look gorgeous with dense blue lapis, don't you think? Ahsian says lapis awakens the third eye. 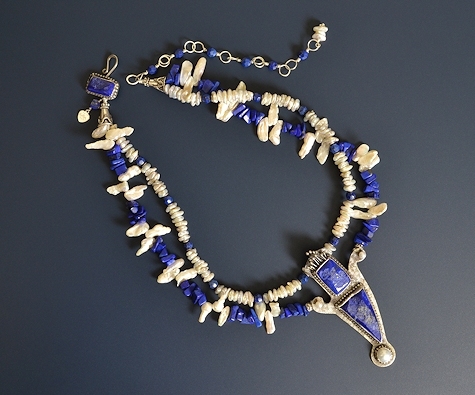 She says it acts as a special link to one's lifetimes in civilizations that prized and used lapis. 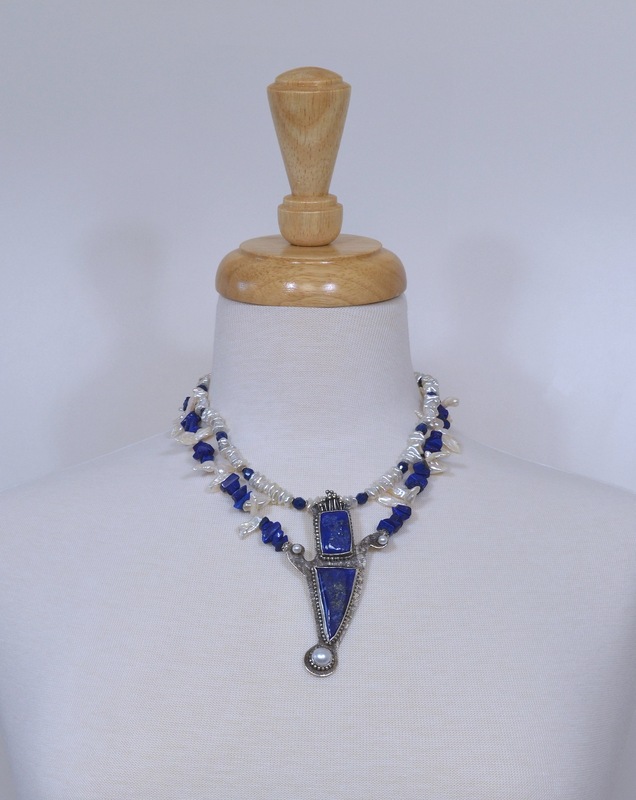 Whether you enjoy exploring your inner life or prefer an evening of dancing, I hope you will enjoy wearing this interesting lapis figure.